We are already half way towards the end of January 2017. Shortly will be asking what happened to the year. Nonetheless, I wish to take this opportunity in wishing you a fantastic 2017, may it be a year of abundance in all spheres of your life. 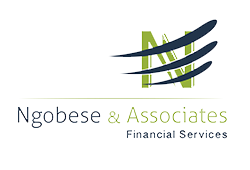 Ngobese and Associates, towards the end of 2016 has been tirelessly working through our new corporate logo as you might have noticed. We are very excited to introduce and present our new logo. To us it represents and stands for versatility, commitment and flexibility, but above all we wanted a logo that our clients can proudly identify with. Furthermore, Ngobese and Associates website has been undergoing construction and is now up and running. This was another project we got involved in early 2016, but got delayed due to re-establishing our logo. We therefore are very proud of what we have achieved. We wish to encourage you to visit the website on a regular basis, it will be loaded with useful information. In 2017, we intend to be more interactive and deliberately in contact with you. We would be bringing, you, relevant news that affect both the Financial industry our client’s financial wellbeing. So, you are encouraged to check our website on a regular basis. We also would love to hear from you, it could be a simple feedback, comments, compliments or complaints – let us know.